On 29th October 2012, IEM and YES Miri Branch participated in the Half Marathon Charity Run the Palliative Home Care (NGO for the terminally ill). This is an annual event is the second event of the new IEM social folio for the year 2012-2013. 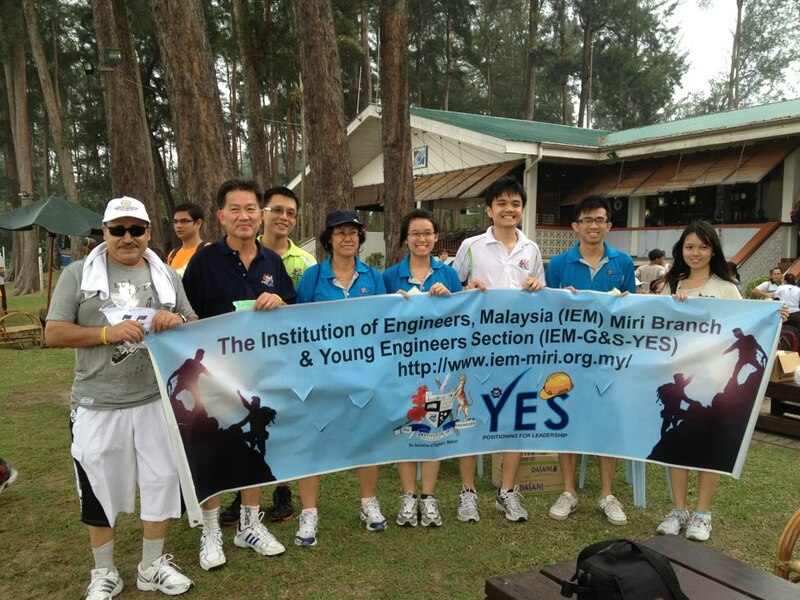 As the second time coming, IEM Miri Branch had a team to fly the flag to run for this Charity for a good cause. Engineers are very much a part of the community and society, not just the "technical" contributors. Our team comprised the Young Engineers Section (YES) led by Engr. Alfred, Engr. Francis, Sdr. Raymond Cheng, Sdri. Elaine Wee, Sdri. Conie Choo, and championed by Excomm Vice-Chairman, Ir. Molly Sim. Ir. Goh, Chairman of IEM Miri Branch was also present to support the function. In addition, IEM Miri Branch also sponsored one dinner table organized by Curtin Volunteers in support of Palliative Home Care held at Parkcity Everly Hotel on the 6th of October 2012. Thanks to these busy engineers who made their time to support the event. They are Chairman, Ir. Goh, Ir. Stanley Wong, Ir. Molly, Engr. Michelle Ling, Engr. Alfred Tay, Engr. Vincent Tee, Engr. Francis Wong, Engr. Adeline Wong, Sdr. Raymond Chow and Engr. Tiang.